Textiles Alive operates the largest fabric imaging plant in New Zealand. The custom-built facility spans more than 17,000 square feet and houses some of the largest dye-sublimation fabric printing and pressing machines in Australasia. In the last 12 months, we’ve invested well over $1million in our machinery and now proudly house some of the most modern and capable textile print and press machinery available world-wide. These machines have been chosen for their award-winning quality and reliability and of course their outputs. 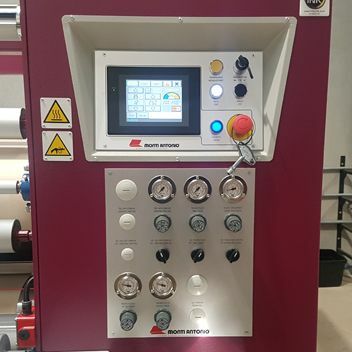 The state-of-the-art pressing machines have been designed specifically for pressing of high-end fabrics used in the fashion industry, internal furnishing and display fabrics. The uniformity of the end result and impressive colour reproduction is due to the exclusive method of heating the cylinders, with a patented design, that allows close and constant temperature control. This guarantees excellent print quality in terms of both uniformity and penetration of inks. 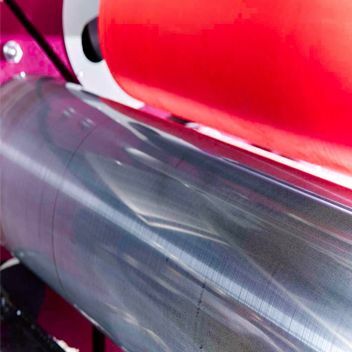 The wide range of operating temperatures obtainable within the cylinders means that production can be altered to account for a wide range of substrates to ensure these are easily processed. Our extensive experience in pressing means we are able to offer you sound advice and solutions based on your fabrics, whether they are woven, mono or bi-stretch fabrics, etc. We work best in collaboration so feel free to get in touch to discuss your options to achieve your desired outcome.